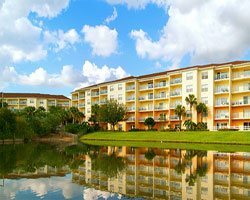 This award-winning resort is ideally located in the heart of Florida's theme parks, just minutes from Disney & Universal Studios. Spend the day hard at play in the waterpark or at the nearby attractions. 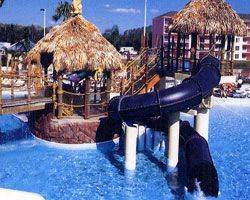 The on-site lagoon and water park features a wave pool & exciting slides. 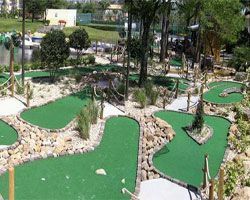 Other amenities such as volleyball, tennis, a large lake, & playground will keep the whole family smiling. 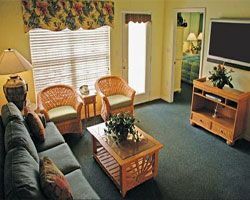 Dine in your fully equipped unit, enjoy the picnic areas, or eat at Shipwreck Sallys to make the most of your family vacation. This resort is affiliated with Island One and ClubNavigo resorts and was formerly known as Ron Jon's Isle of Bali.